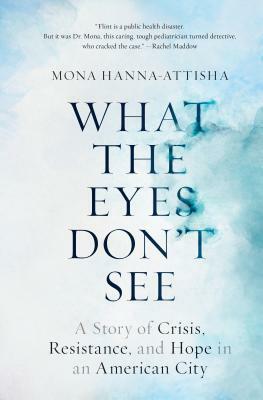 In “What The Eyes Don’t See”, a determined Dr. Mona Hanna-Attisha pulls the veil off of the Flint Water Crisis exposing the poisoning of tens of thousands of residents by policy and politicians. Reminiscent of “The Jungle” by Upton Sinclair, Dr. Mona uncovers an injustice to the city of Flint unfathomable in our Great Lakes State. And, it’s totally inexcusable and so very sad. I was in tears too many times to count. Dr. Mona’s quest for clean water for the children of Flint is a must-read for anyone entering epidemiology and environmental activism. It’s fantastic. In “What The Eyes Don’t See," a determined Dr. Mona Hanna-Attisha pulled off the veil of the Flint Water Crisis by exposing the poisoning of tens of thousands of residents by policy and politicians. Reminiscent of “The Jungle,” by Upton Sinclair, Dr. Mona uncovers an injustice to the city of Flint unfathomable in our Great Lakes State. And, it’s totally inexcusable and so very sad. I was in tears too many times to count. Dr. Mona’s quest for clean water for the children of Flint is a must-read for anyone interested in epidemiology and environmental activism. It’s fantastic. And, it's a shame.